We all remember the tragedy of the Oso Mudslide last year. It reminded it us of the devastating effect human intervention can have on a grass seed dependent landscape. It’s since been determined that the landslide was caused by logging, but that doesn’t mean areas without logging are safe. 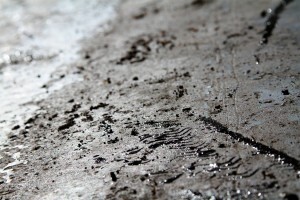 Washington is especially prone to mudslides, and there are signs you can look for that may indicate your property is at risk of experiencing one. Cracks in your foundation, and bent trees may indicate a potential landslide. There are also certain risky areas, like slopes with little plant life. These can become especially saturated and unstable during heavy rains. With nothing to anchor the soil into place, the ground eventually becomes unstable, causing a mudslide. There is a way to fight back though. In Washington’s very own Methow Valley there are more than 255,000 scorched acres. Because of the Carlton Complex fire, much of this land is now at a high risk for mudslide activity. With the rainy season on its way, this keg of soft dirt is primed and ready to disintegrate. That leaves state and federal agencies wondering how to stop it. Luckily they have a plan. Utilizing planes and thousands of pounds of grass seed, agencies are planning on re-seeding 10,000 acres of the highest risk areas throughout Methow Valley. With seeds currently burned away, the forest may take a very long time before it sees life without a helping hand. The largest effort will be helmed by the Washington State Department of Natural Resources. They’ll be re-seeding 9,000 acres before the end of the rainy season. This method has previously been used to success in California in 1985. If you have any areas that are causing you concern, grass seed is one the cheapest ways to perform erosion control. So make sure to visit your local Olympia WA grass seed supplier, in order to prep your yard for better prevention of mudslides.